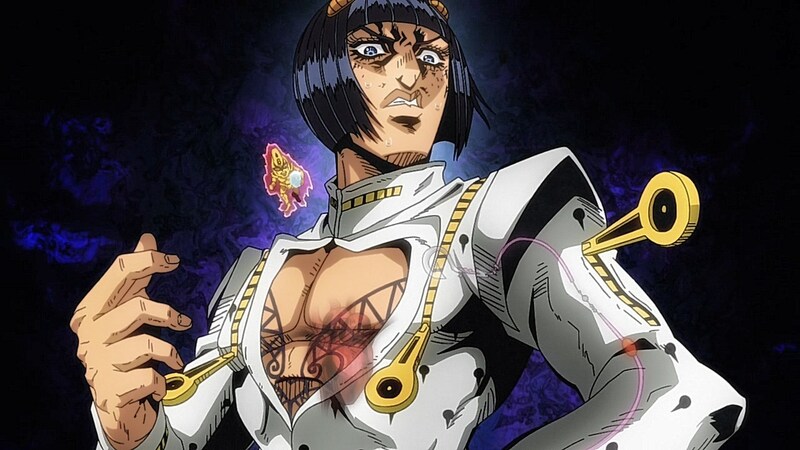 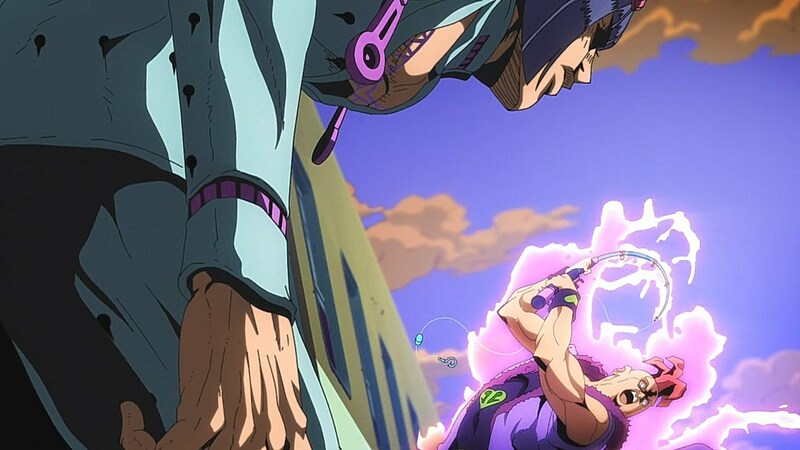 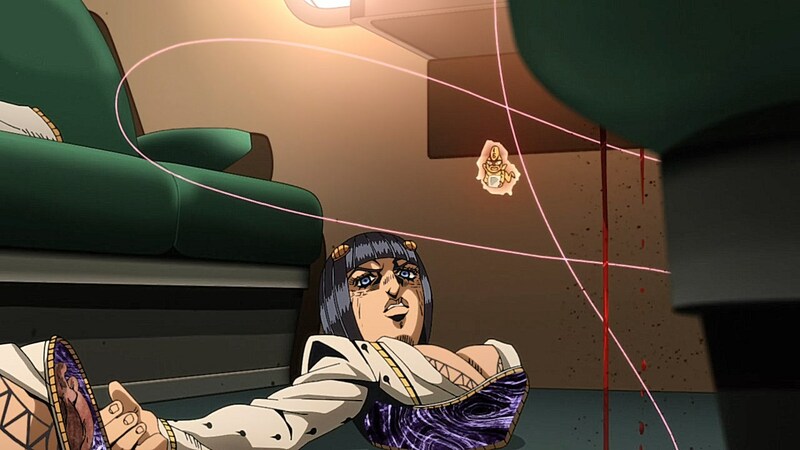 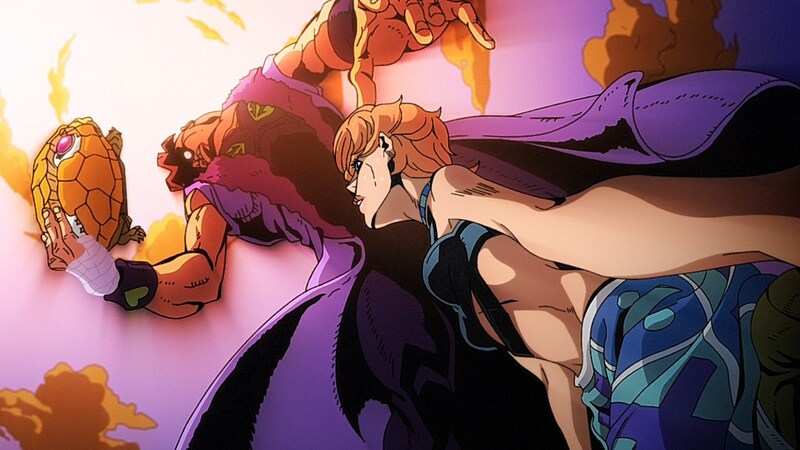 Bruno’s quick-thinking in the last episode might have seemed reckless, but following that cliffhanger, we quickly learn that it gave him the upward advantage to send Prosciutto flying. 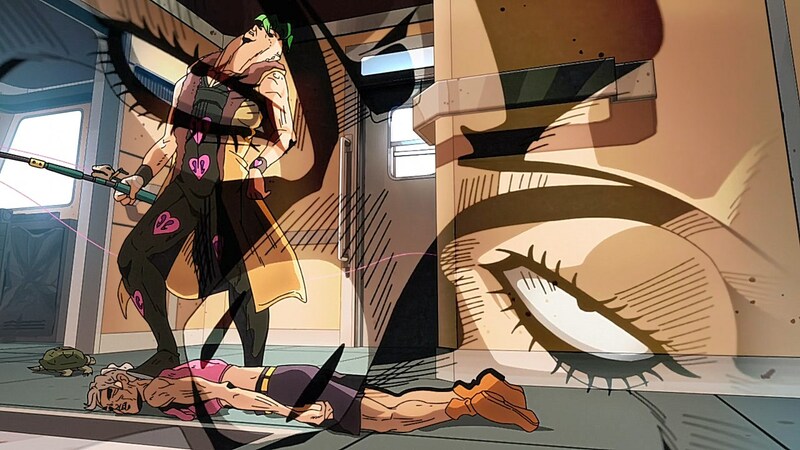 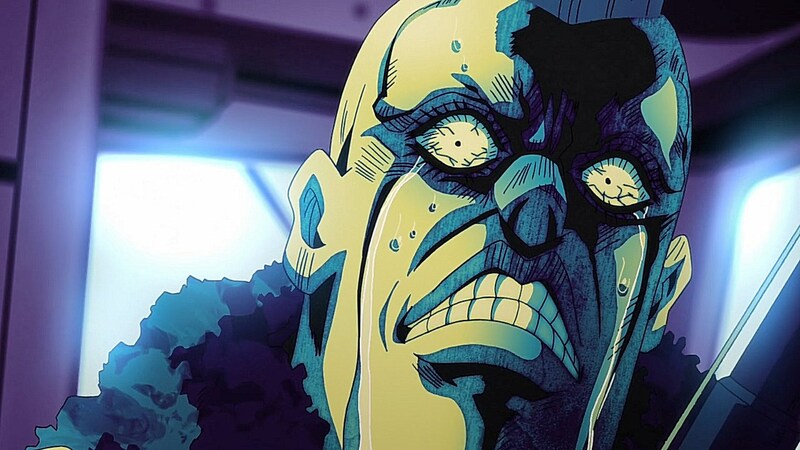 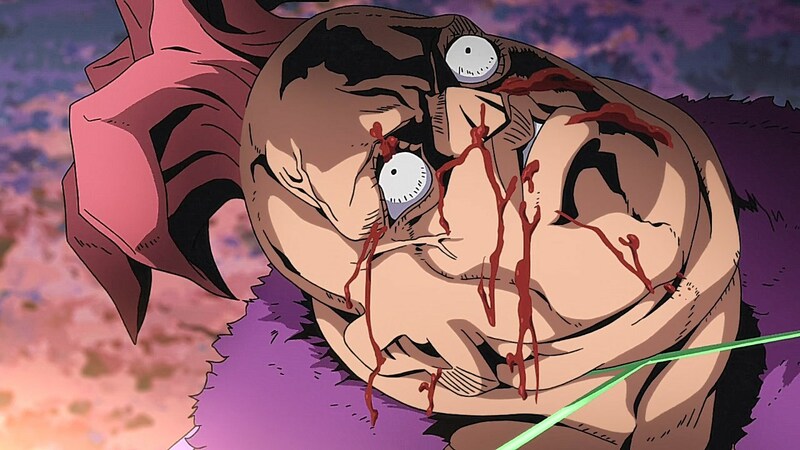 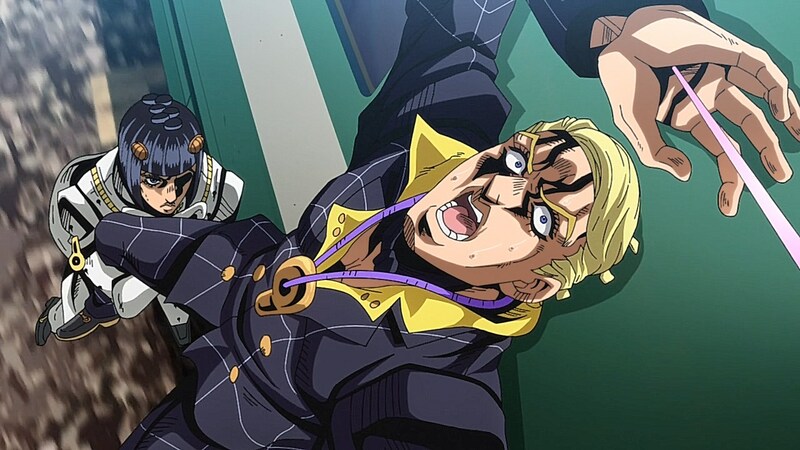 Getting trapped in the train’s machinery may have stalled Prosciutto’s death after he was out-maneuvered off the train, but the lasting effects of his inevitable end reverberated through Pesci as he takes it upon himself to live up to his aniki’s example. 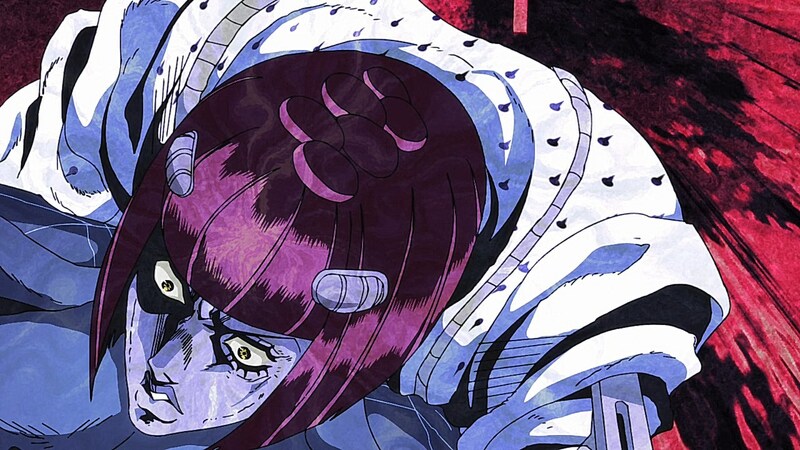 Pesci’s heel-turn from the fearful mammoni to a vengeful thug would go as well as you would imagine as he steps on an already dying man’s neck and pretends to be a superhard gangster. 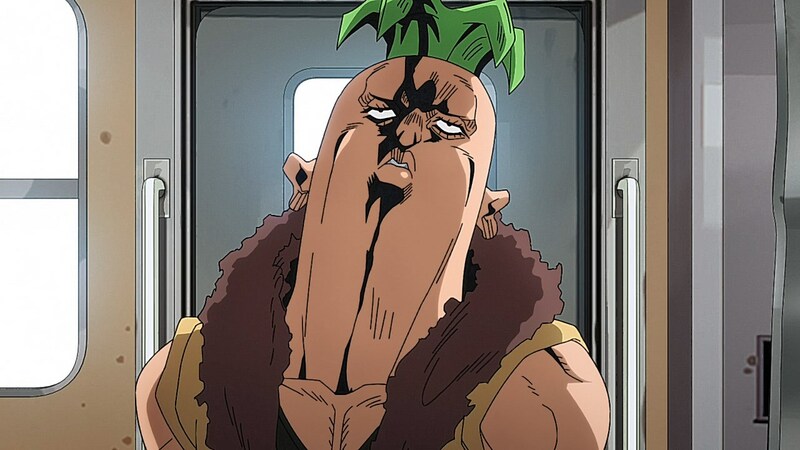 This would fit the trajectory of Pesci’s path accurately as he spends the episode trying to shape himself into being a tougher him by channeling what Proscuitto would do. 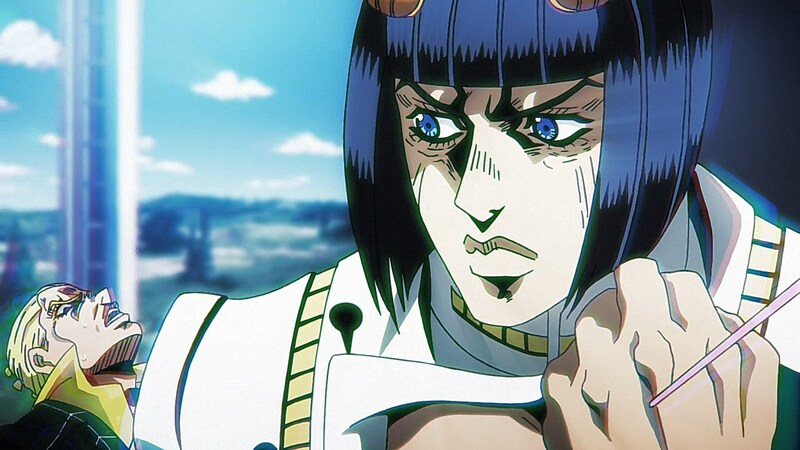 And yet, his irrationality ends up dictating his actions as he sabotages many of his lucky breaks by letting his nerves get the best of him. 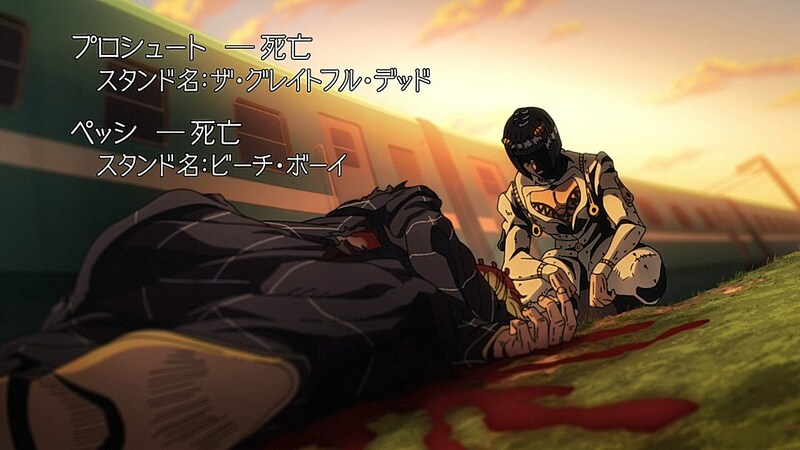 With Bruno, one reoccurring theme in his part of the fight is luck. 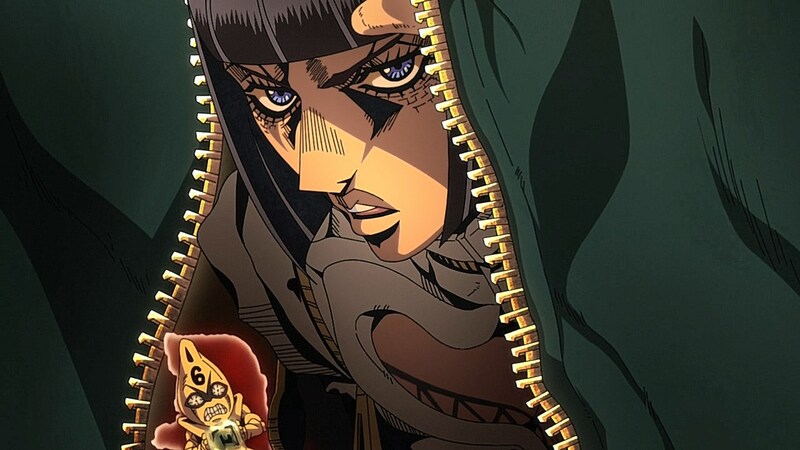 He can craft clever ideas on the fly, but he’s restricted by the luck that shifts constantly from Pesci to himself. 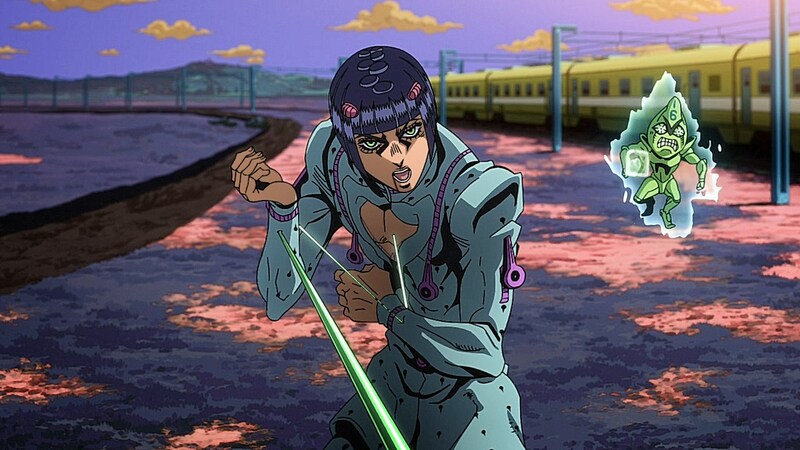 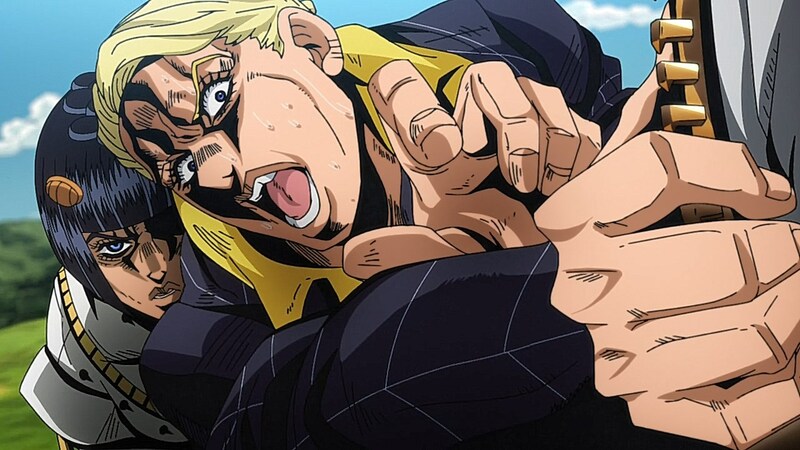 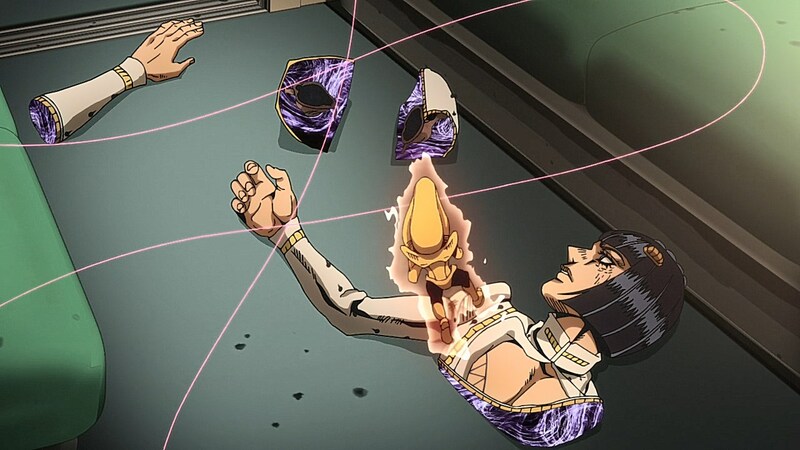 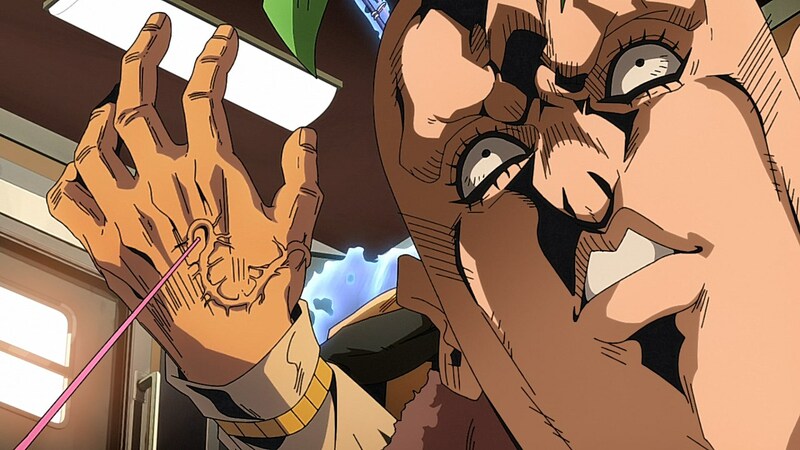 Bruno places himself in enough of a risk to make it so that it would take the pure luck of something like the train shifting the pieces of his body back together after Pesci finally found a way to stop the train to reach Prosciutto. 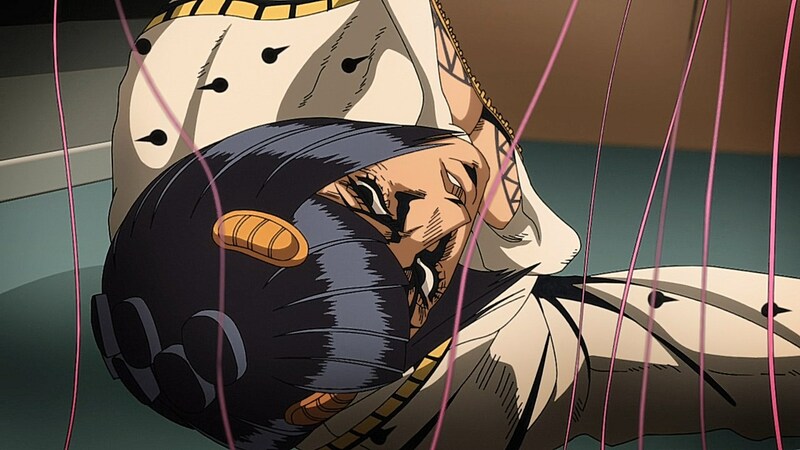 After all of the times that Beach Boy had reached Bruno’s heart, it took several lucky twists of fate to be able to zip his way out of every life-threatening predicament he faced. 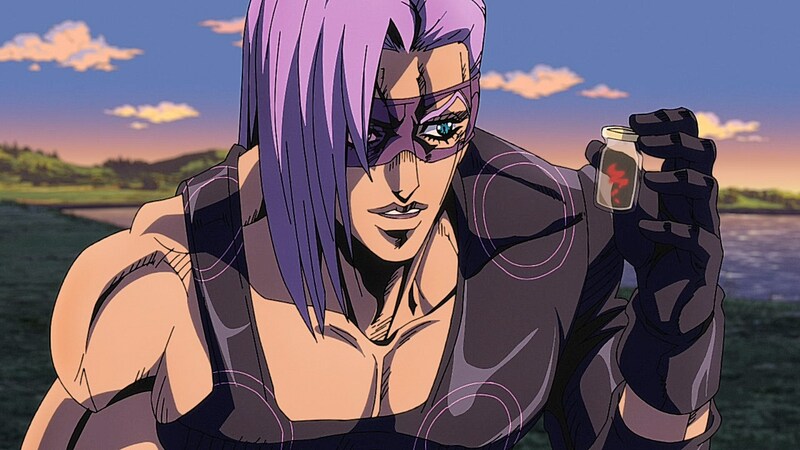 Now that the duo is gone, their only current obstacle at the moment is Melone, who is finding that the cards are in place for his own debut. 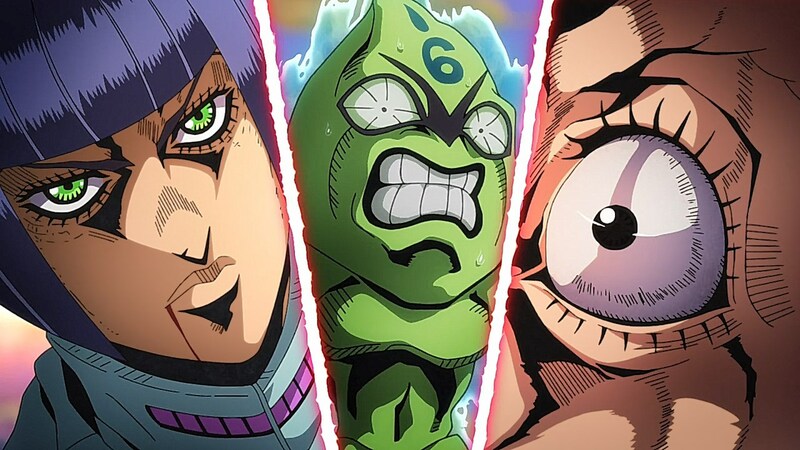 La Squadra is already missing four members, but with a good chunk of Passione needing to recover from their previous fight, Melone has the advantage of facing them while they’re still trying to heal from Grateful Dead and Beach Boy’s combined efforts. 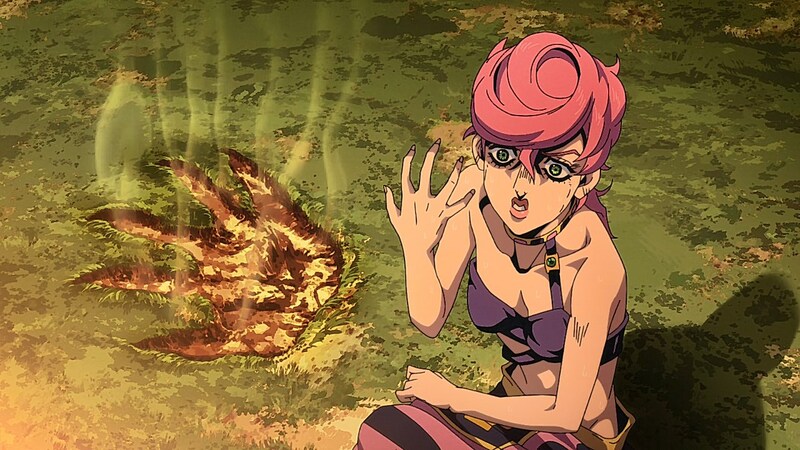 On top of this, Trish’s powers are starting to awaken as well, complicating the situation further now that the boss’ daughter happens to have a Stand ability. 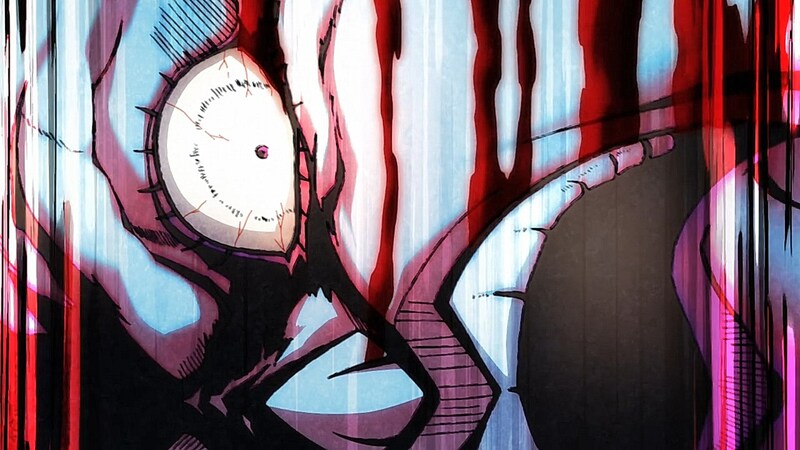 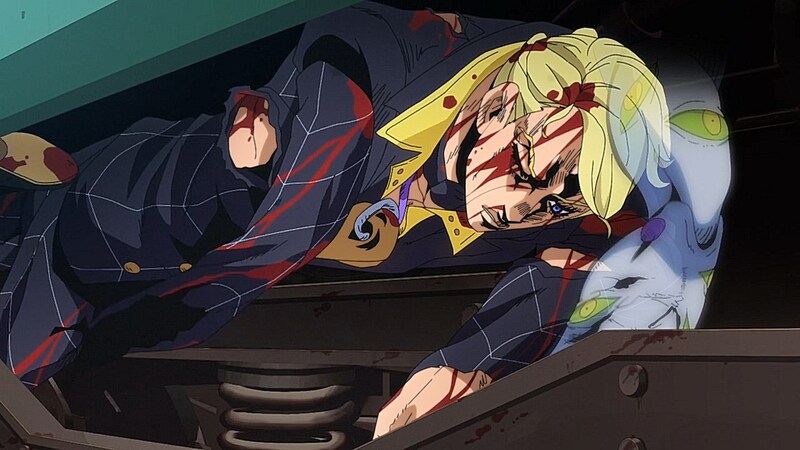 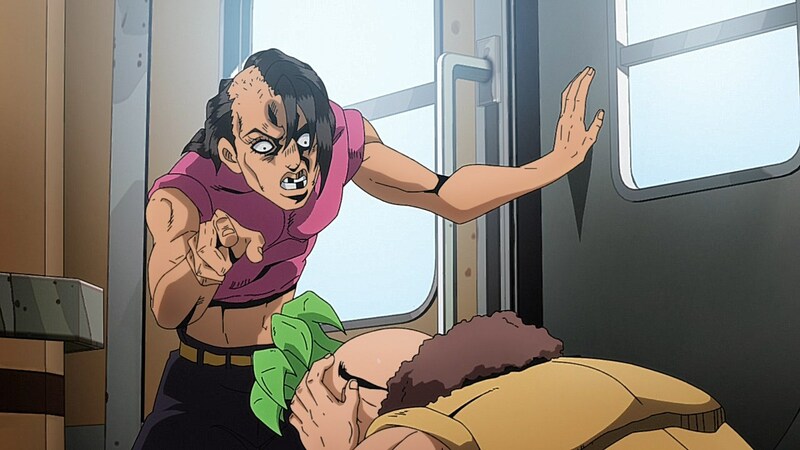 Next time around, we will be looking into how much of a threat Melone turns out to be as Passione deals with the aftermath of train travel no longer being feasible. 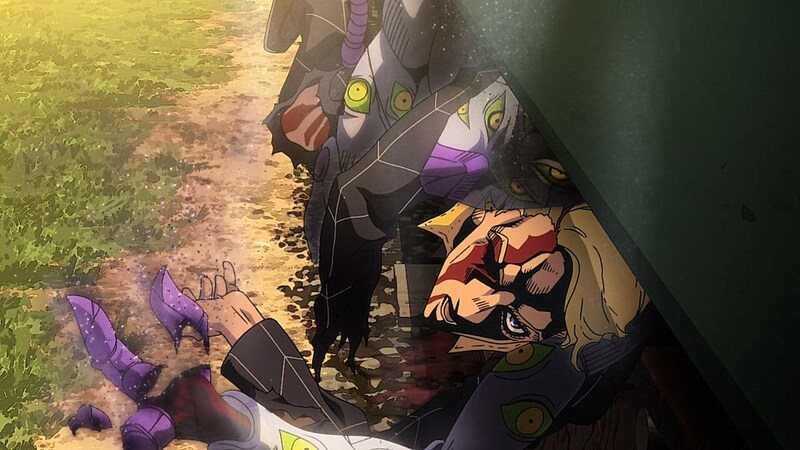 In the anime original flashback scene of Formaggio, they gave each member of La Squadra’s personality. 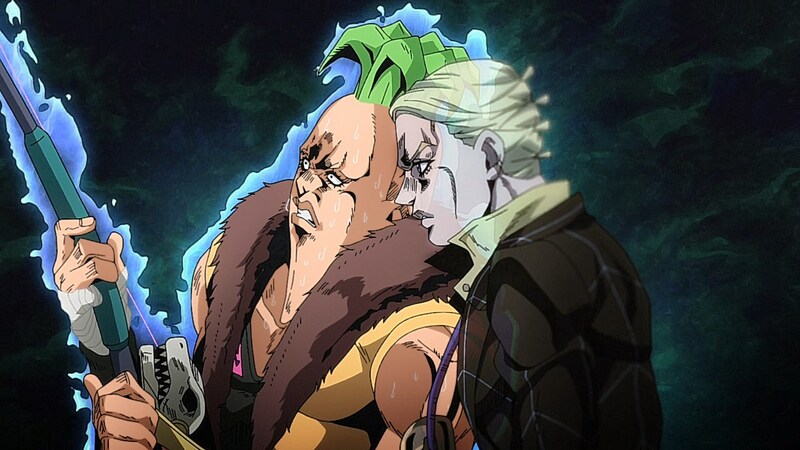 Melone is a nasty piece of work. 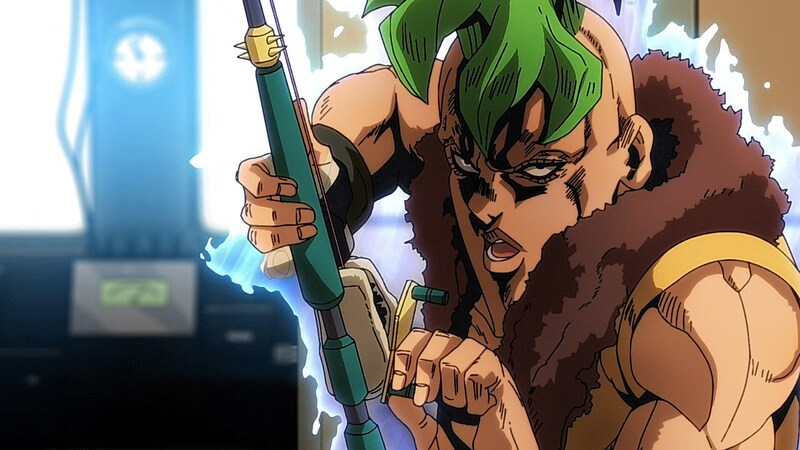 I’m wondering how they’ll pull off next week because he was nasty enough as-is in the manga, but the flashback definitely upped the creepiness with his lip-licking. 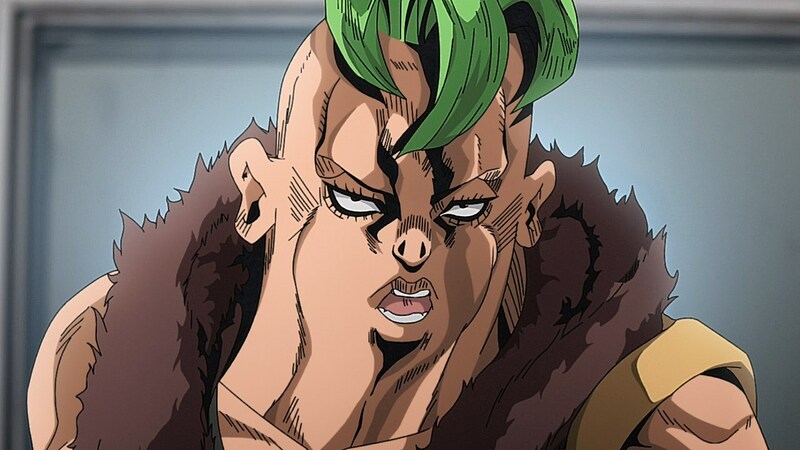 The direction they went with Pesci was impressive because it would’ve been tough to gauge whether he would have become withdrawn without Prosciutto to whip him up into shape or if he’d rise to the occasion when he’s left to his own devices. 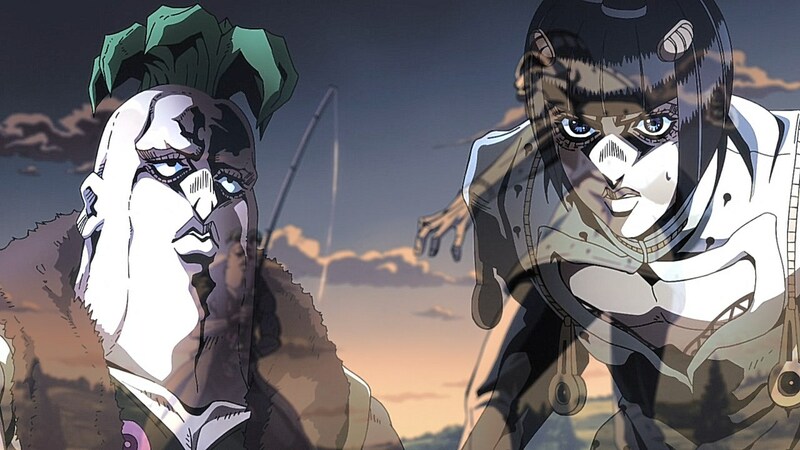 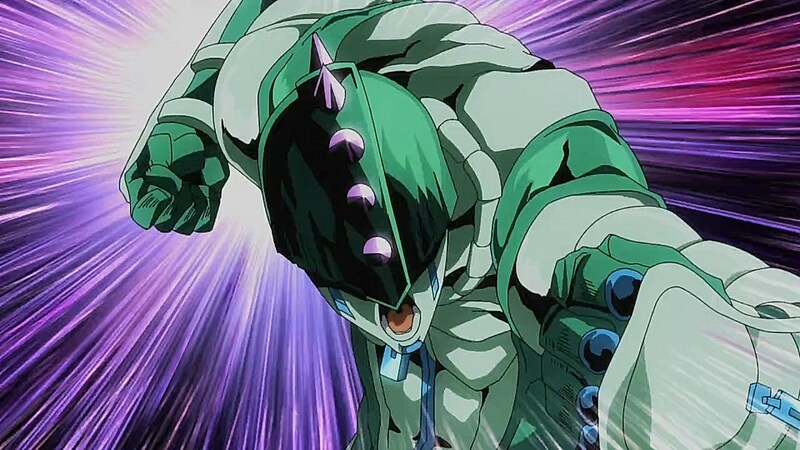 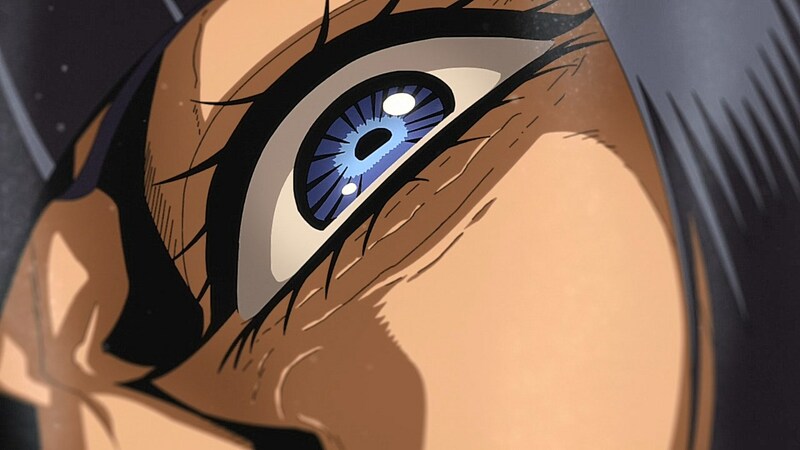 He still had much of his anger from back when he was pissed that Passione killed Illuso and Formaggio died, so it was a natural progression, but without Prosciutto, it seemed to have forced him to embrace the tougher part of his psyche instead of the docile side of him that dulled his temper when Proscuitto snapped him out of his emotions. 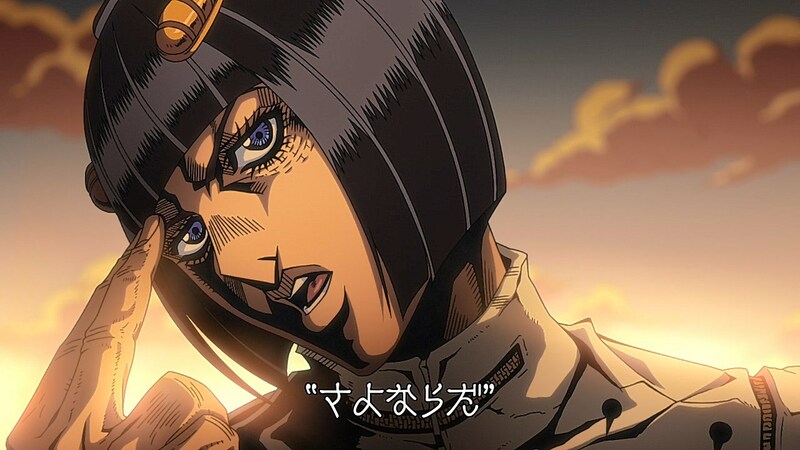 It wasn’t for the best because it ended up changing him to the point of Bruno addressing how the more he embraced his worst traits without Prosciutto, the less of an honorable person he had become.